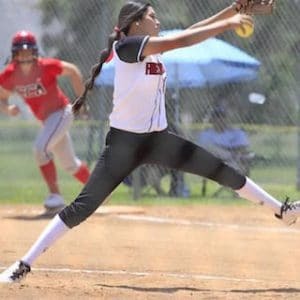 On April 6th Boise State commit, Gianna Mancha, did the unimaginable when she struck out 21 of the 24 batters she faced in a high school game versus Clovis West. Not a single ball was put into play that day off the Central High School senior. This 21 strike-out performance has put a spotlight on the pitcher who also plays short stop and is batting over .350 on the season. 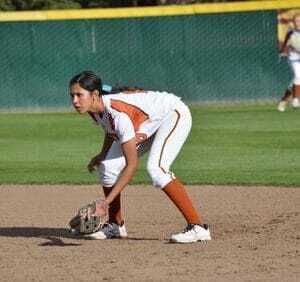 This honor places Mancha alongside greats including 1996 Olympic Gold Medalist Michelle Granger, 3-time Olympic Gold Medalist Lisa Fernandez, and Olympic Silver Medalist Monica Abbot, who have also managed to fan 21 in 7 innings in their early careers. Let’s get to know a little more about Gianna and what sets her apart from others on the field. When you’re not pitching you’re playing short stop and also stellar at the plate. Which is your favorite and why? My favorite is short stop, I feel like I have a little more freedom to be able to talk to my infield and outfield. I’m able to breathe a little more without thinking about hitting a spot or executing a pitch. I can be more vocal and a little loose. Would you consider yourself a vocal leader or one who leads more by example? A little of both it depends on if I’m at short stop or pitching but in both positions I always try to lead by example by being a good supportive teammate. Who or what inspires you to play the game? The love for the game inspires me to play. I’ve been playing since I was 8 years old and it honestly never gets old. 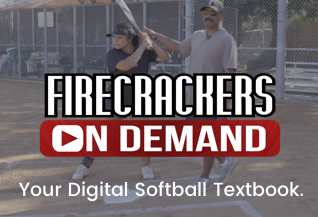 What has been your most memorable softball moment up to this point? 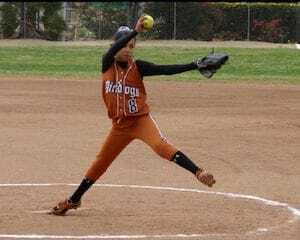 Playing So Cal A’s (Mercado) when we were 16u in a PGF Qualifier. We lost 9-8 but it was the first time playing where it felt like a c ollege game that you see on TV. They’d hit a home run then we’d hit one, they would score, we would score it was a tied game that went into extra innings. It was intense through the whole game even though we lost. I remember that game like it was yesterday. What went into your decision to continue your career at Boise State? I felt very comfortable meeting Coach Ball and her staff. I would be able to be just me there. 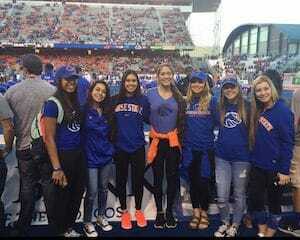 With Coach Ball being new I wanted to become apart of her tradition at Boise State. 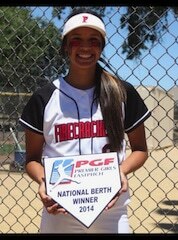 What are some of the goals you’d like to accomplish before your softball career is over?